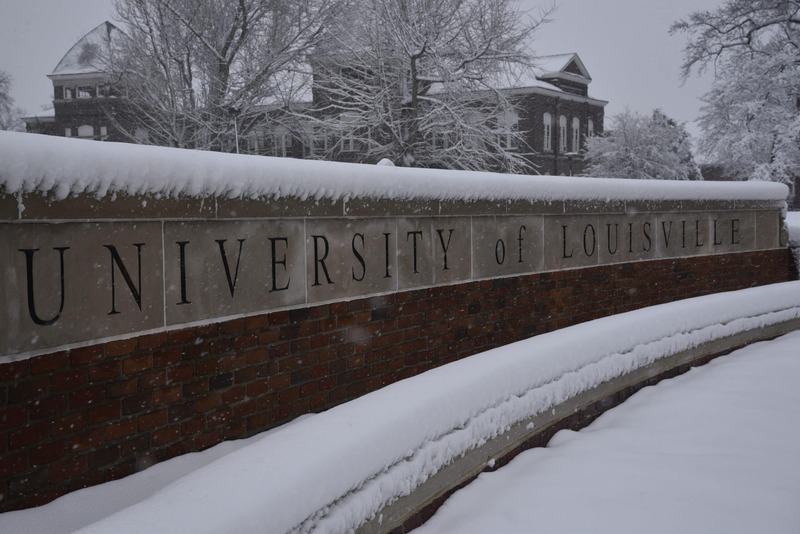 U of L canceled classes for the third time this semester due to inclement weather on campus. Overnight the city had accumulated almost four inches of snow that continued into the early morning. With temperatures dropping, the risk of black ice forming on the roads increased. The National Weather Service reported that today was the snowiest March 21st in Louisville on record. Some parts of Kentucky accumulated up to 8.4 inches since the snow began falling yesterday evening. As many students are just getting back from spring break, most are not cheerful to come back to the cold and snow. “I just got back from Florida where it was warm, so this snow is not something I wanted to see considering its supposed to be the start of Spring,” Jessica Miller said. Senior Brandon Stewart lives in The Arch apartments, which is a 10-minute walk to his first morning class. “I’m glad that they decided to cancel classes because even with a delay, I would have still had to walk in the cold, which with the wind-chill factor today, would have been brutal,” Stewart said. At 5 a.m. U of L sent out a Rave Alert notifying staff and students that U of L would be operating on a delayed schedule. Around 8:30 a.m. they sent another alert canceling classes. The University plans to operate on normal schedule starting tomorrow.